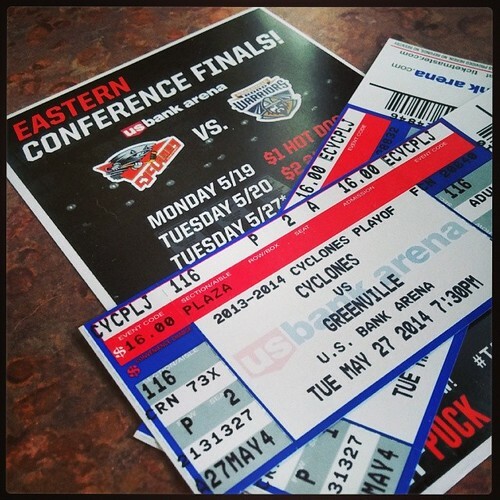 Tonight is game 6 of the ECHL Eastern Conference Finals! Our tickets are ready to go! If the Cyclones win tonight, they clinch a spot in the Kelly Cup Finals! Let's go Cyclones!